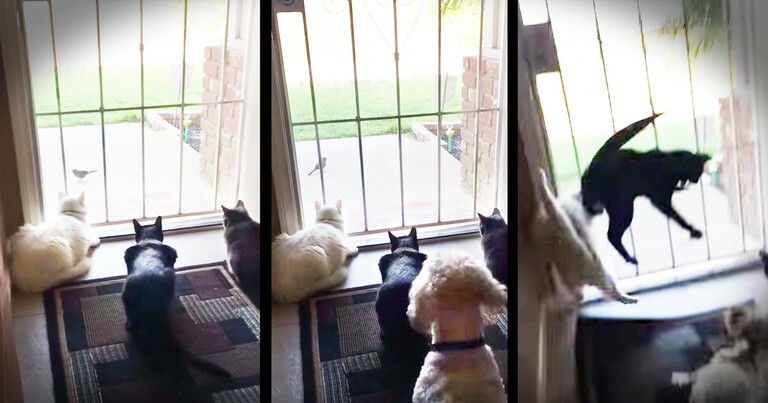 These three kitties were mesmerized watching the bird on the other side of their front door. They were so in the zone that when the family dog decided to join in on the fun they didn't see him coming. And watching this pup innocently scare these kitties you just have to chuckle.